All cancers begin when cells mutate, then infect nearby healthy cells, causing the cancer to spread. 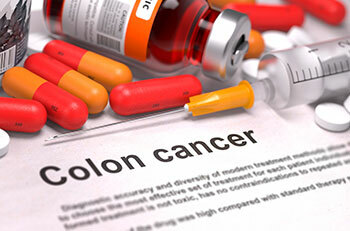 Most colon cancers start out as harmless clumps of cells called adenomatous polyps that form inside the intestine. If those polyps are not removed in their early stages, they may grow into colon cancer over time. If those cancer cells travel through your blood stream and spread to other areas of your body—a process called metastasis—the cancer is much harder to treat.